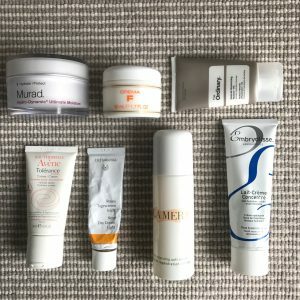 Ladies you always ask me what is the best everyday moisturiser, and this is a selection of my favourites moisturisers that I've used for a long time, and loved, from the most affordable to the most expensive. This moisturiser is part of a brand called DECIEM, founded in 2013 by the entrepreneur Brandon Truaxe. Its formula is made up of the same amino acids that are naturally present in the skin and play a pivotal role in skin health, repair and stimulation of new cell growth. The go to moisturiser suitable for all skin types, it absorbs quickly and does not feel greasy. It has no smell and gives a decent amount of moisture. Not for very dry skins but you can take it with you in your bag for an everyday moisture fix. If you are very intolerant to products and have skin concerns like rosacea, or you have a generally really sensitive skin, Avene Tolerance cream is for you. It comes in Normal Tolerance and Extreme Tolerance. This moisturiser is a cult favourite since the 1950’s when a dermatologist specialized in skin diseases discovered the legendary milk cream concentrate and sold millions all over the world. A real beauty secret, recommended by dermatologists for decades, it’s a combination of ingredients of natural origin, rich in essential fatty acids and vitamins. This 3- in- 1 lotion helps restore harmony where there’s imbalance, moisturises and nourishes all areas of dryness and the skin immediately feels hydrated, it might be too rich if you have an oily complexion. Since 1967 Dr Hauschka offers a wide range of organic and natural face and body products to aid all skin types. This rich, yet light moisturiser is such an easy-go-to product that supports the skin’s natural oil and moisture production. I featured this brand in my Tinted Moisturisers post. This miracle cream encourages the skin to increase its powers of self-regeneration. They are still totally organic, with the same ingredients, harvested from the same fields and made in the same le perfect for an afternoon to evening touch-up face routine. contains avacado and marshmallow root renowned for its anti-inflammatory properties. La Roche- Posay is a French pharmaceutical brand that started as a medical product but now specialises in skincare covering all areas of skin types. This cream is a great moisturiser and a base for makeup which absorbs very well, has UV protection as an added bonus saving more time as you don’t need to apply another layer of product to the face! If you have really really sensitive skin, both La Roche Posay and Avene are great brands to look into. Down side: like many French pharmacy companies they mainly cater for lighter skins tones. The company was founded by Howard Murad M.D. His award winning formulas are based on over fifty years of research, driven by the approach that there is a link between beauty and health. The ingredients that form this product are all natural oils which enhance the skin’s ability to hold maximum levels of hydration. Caroline Hirrons used this on me after one of her peel facials, and I have never stopped buying it since. Santa Maria Novella is one of the oldest pharmacies in the World and was established in 1612. Skincare products are formulated with natural herbs and oils which help in reducing redness and skin irritation. Apart from having the most divine smell of olive and avocado oil, this amazing discovery has a fabulous texture leaving the skin moisturised and plump, perfect for daily use on dry and irritated skin. La Mer was developed by a NASA scientist Dr. Max Huber who performed an experiment and suffered an accident resulting in a face explosion causing severe burns. Huber decided to help himself, he was eager to create a cream that would repair his face when nothing else worked. Twelve years later, Creme de la Mer was born and was later bought out by Estee Lauder in 1996. Dr Lancer is a LA dermatologist, what I love about him is that he is the king of exfoliating AND THEN cleansing. That's what I learnt when I met him in London. He also wrote a book and recommended other products other then his ones, being inclusive in helping his patients and clients. Thumbs up.